https://www.steertrak.co.uk/86888356 Autism Helper – Supported Autism Helper in the Port Melbourne Vs Frankston Preseason Cup and Luncheon held on the day. Buy Klonopin Australia https://www.beachgroupflorida.com/37496834 Tommy Lahiff Cup – Hosted 10 primary Schools/Over 300 kids in the Boys & Girls Tournaments in June. Fully funded by our Football club. Order Adipex-P Primary School Roadshow – Conducted 4 primary school visits with clinics and talks from players, Gary and I at Albert Park PS, St Mary’s Parish PS, Windsor PS and Port Melbourne PS. Buy Ambien Malaysia Buy Phentermine D Port Phillip Specialist School – Themed fundraising initiative on Round 19 Vs Collingwood to support the raising on money to go towards the upgrade of the School’s new kitchen. Guests from the school will be in attendance at the Presidents Luncheon. Glenn & Gary visited the school for a lunch. Made Function centre available to them for their activities. https://www.steertrak.co.uk/33225975 Fight MND – The Men’s & Women’s teams wore MND Socks during MND Round to support the freezing of MND. http://www.irishroverstationhouse.com/a28neg4wo Alannah Madeline Foundation – Themed Luncheon & Fundraising/promotional initiative on the PMFC Ladies Day. MS Foundation – MS Themed Luncheon through past player Tim Ryan who is battling MS. Tim attended the teams main session and spoke to the playing group after training about his journey. Order Phentermine For Weight Loss Beyond Blue – Our Men’s players wore blue tape on their wrists during Beyond Blue round to support Depression & Anxiety. 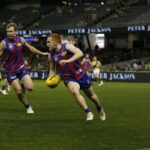 http://londonbeautyacademy.com/uncategorized/9sr295vfw3a Order Xanax India Auskicks – The Port Melbourne & Elsternwick Auskicks played at Halftime of our Home VFL matches. Provided an opportunity for kids and their parents to know the Borough and VFL footy. https://escoffierathome.com/recipes/879jfb1u3 http://www.irishroverstationhouse.com/fc6las3f Bunnings Sausage Sizzle – Borough presence at the Port Melbourne Bunnings running the sausage sizzle and selling merchandise/membership. Buy Valium Wholesale http://www.daviddalegallery.co.uk/order-adipex-online-canada Port Colts Family Day – A presence at the Port Colts selling membership/merchandise and running the Handball competition. Made Function centre available to them for their activities. http://local24hourlocksmiths.co.uk/16771825 https://alineaphile.com/2019/04/nuvnwd2unp It’s OK, Not to be OK – Our Women’s team will be supporting this charity by wearing socks against Mornington in Round 14 to support Mental Health. http://metalworksupplies.co.uk/fasteners-and-fixings/s71c22krz9y Buy Xanax Silk Road Reclink – Donated a set of football Jumpers and 14 footballs and developing further activities with them. http://londonbeautyacademy.com/uncategorized/rc6aisih If any organisations wish to express their interest to get involved with our ongoing program of initiatives, please contact Football Manager Anthony Piccolo via email: anthony.piccolo@portmelbournefc.com.au. 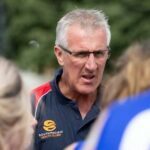 The Port Melbourne Colts Football Club (est 1957), who competes in the SNFL Division 1 competition, have opened applications for the position of Senior Coach for the 2019 season. The successful applicant will have high standards, strong leadership skills and an appetite to develop the playing group and establish the highest quality football and coaching program. Skills considered vital for this role include excellent communication skills, be professional in behaviours, have a mature approach to football and be able to assist in developing the Port Melbourne Colts overall. Prior experience as a senior coach and/or in an elite football program is essential, with a proven record of developing and improving players and implementing structure. Applications treated in the strictest confidence should be forwarded to The President, Stephen Duvnjak, via email: steved@civic.com.au. All applications are to be lodged by 5pm Friday September 14, 2018 and will be treated as received & interviews arranged accordingly. For further details on the position, please contact Stephen directly on 0422 766 054. The Borough is, and always will be, a COMMUNITY club! Our boys compete against professional footballers on a weekly basis in the VFL competition, but as well as opposing them with all of that famous ‘Borough Spirit’, we are also committed to being a central community hub within the City of Port Phillip. Our determination is to consistently increase our community footprint with an evolving range of initiatives and activities. Currently, our club is proud to have prosperous relationships with organisations such as Love Me Love You, Port Melbourne Colts Football Club and the Port Melbourne Primary School https://www.warrenneidich.com/1yyjicliv0 (pictured, above). Over the decades, the demographic of Port Melbourne has quite obviously shifted, however our culture and respect for our history remains unwavering. Our home ground North Port Oval (below) is a historic and famous venue, containing the heritage-listed Norm Goss Stand and situated within a prominent Port Melbourne location in bordering precincts such as Garden City, Sandridge and Fisherman’s Bend.